As part of our end-of-the-year efforts, today's podcast will be devoted to going through ALL (or all we can handle) of the mail that's been piling up on Massively Speaking's doorstep. It's a full hour of nothing other than your topics and our opinions, brought to you in full technicolor sound! 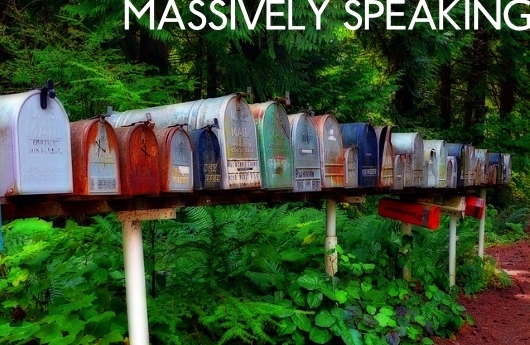 Massively Speaking Episode 326: Mailbag cleanup originally appeared on Massively on Tue, 23 Dec 2014 18:00:00 EST. Please see our terms for use of feeds.